Manufacturer of a wide range of products which include hastelloy pipe, hastelloy products, hastelloy c276 sheet, hastelloy c276 tubes, hastelloy c276 socket weld flanges and hastelloy c276 weld neck flanges. Hastelloy X Alloy (UNS N06002; W.Nr. 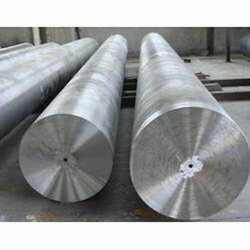 2.4665) is a high-temperature, matrix-stiffened, nickel-chromium- iron-molybdenum alloy with outstanding oxidation resistance, and exceptional strength at up to 2200°F (1200°C). It is used for components such as combustion chambers, afterburners and tail pipes in aircraft and land-based gas turbine engines for fans, roller hearths and support members in industrial furnaces, and in nuclear engineering. Hastelloy X Alloy is readily fabricated and welded. Hastelloy X has excellent welding dissimilar for high-temperature alloys. It is used extensively in aircraft engine repair and maintenance. This hastelloy x has very good strength to balance the resistance oxidation & its fabric ability. Hastelloy X, Nickel X, Alloy X, Nickelvac HX, Microfer 4722, Altemp HX, Inconel HX. Pipe, Tube, Sheet, Plate, Flanges, Fittings, Round bar, Flat bar, Hexagon, Fasteners. Hastelloy X Alloy is designated as UNS N06002/ W.Nr 2.4665. Hastelloy X Alloy is listed in NACE MR-01-75. Plate, Sheet and Strip: ASTM B 435; ASME SB 425 ; AMS 5536. 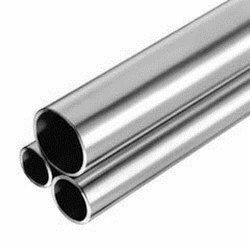 Seamless Pipe and Tube: ASTM B622; ASME SB622. Welded Pipe and Tube: ASTM B626; ASME SB626. Kindly contact us if any requirement. Being a client-centric organization, we are involved in offering Hastelloy Products. Their compact design, sturdy construction and resistance against corrosion make these products highly demanded. The offered product is made with the help of latest machinery in accordance with set industrial standards. Our firm is enlisted as one of the renowned names in offering high-quality Hastelloy C276 Sheet. Our range of sheets is high on demand among patrons due to its embellished features such as corrosion resistance finish, sturdy construction, durability and dimensional accuracy. Tested on various quality parameters, our sheets are available at economical rates to the clients. Our enterprise has gained immense recognition in offering optimum quality Hastelloy C276 Tubes. Rendered by us in various sizes and dimensions, these products are appreciated for their resistance against corrosion, impeccable finish, and thermal stability. The offered product is examined on various quality parameters before delivering in the market to ensure its high durability and flawless working. 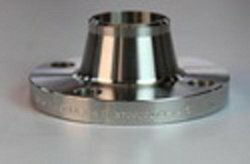 To become one of the preferred choices among our customers, we are indulged in bringing forward a wide collection of Hastelloy C276 Socket Weld Flanges in the market. 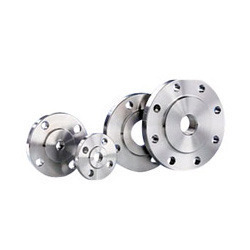 These provided flanges are designed and developed suing top-notch quality factory inputs and progressive technology in tandem with the market set norms and guidelines. 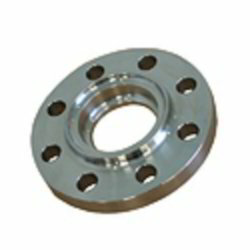 More to this, we provide these flanges in different provisions and sizes. Astec Inc. manufacture of Hastelloy C276 Weld Neck flanges in many grade and sizes.This sHastelloy C276 Weld Neck flanges mainly uses in chemical plants, fertilizer industry, pipe pumping plants etc.We widely export flanges to many countries. Astec Inc. manufacture of Hastelloy C276 Slip On Flanges in many grade and sizes.This stainless steel slip on flanges mainly uses in chemical plants, fertilizer industry, pipe pumping plants etc.We widely export flanges to many countries. We are known as one of the favored choices of the customers, highly affianced in presenting an extensive array of Hastelloy C276 Bolt. These provided bolts are designed and developed using premium quality basic material and advent-grade technology and techniques. 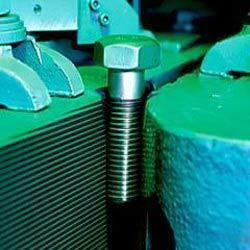 More to this, these bolts are available in different sizes, dimensions, and provisions. Our enterprise has gained immense recognition in offering optimum quality Hastelloy Tubes. Rendered by us in various sizes and dimensions, these products are appreciated for their resistance against corrosion, impeccable finish and thermal stability. The offered product is examined on various quality parameters before delivering in the market to ensure its high durability and flawless working. 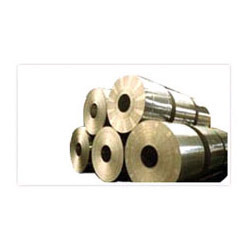 Our firm is enlisted as one of the renowned name in offering high quality Hastelloy Sheets. Our range of sheets is high on demand among patrons due to its embellished features such as corrosion resistance finish, sturdy construction, durability and dimensional accuracy. Tested on various quality parameters, our sheets are available at economical rates to the clients. With the assistance of a team of highly qualified professionals, we are engaged in offering Hastelloy Plates. Rendered by us in various dimensions and sizes, these products are known for their sturdy construction and resistance against corrosion. The offered product is designed and developed under the guidance of our adept professionals. 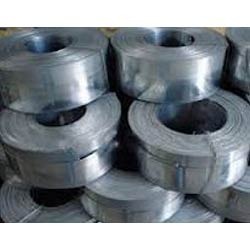 We offer a wide range of Hastelloy Coils that finds application in various industries across the globe. Manufactured from quality raw material, these hastelloy plates & hastelloy sheets are known for its unique features such as tight tolerance, smooth surface and uniform mechanical properties. 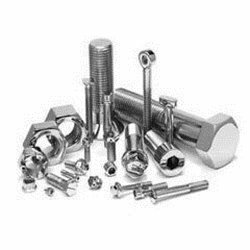 In our range of Hasteller Fasteners, we offer many kinds of fasteners, including bolts, screws, studs, nuts, pins, washers, also supply plates, ingots, bars, wires, flanges, forgings, pipefittings such as elbow, tee, reducer, cap, machine parts, shafts, rods. These hosteller fasteners are manufactured from quality-tested components and are in high demand by our clients spread across the globe. 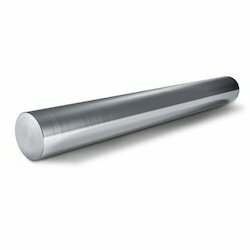 We offer a comprehensive range of Hastelloy C276 Round Bar, in grades Hastelloy C22. 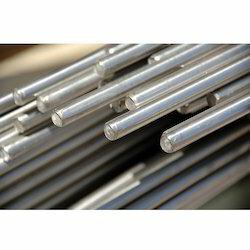 Known for resistant to general corrosion, crevice corrosion, intergranular attack, pitting and stress corrosion cracking, our range of Hastelloy round bars are widely used by our clients spread across the globe. Being a client-centric organization, we are involved in offering Hastelloy Wire. Their compact design, sturdy construction, and resistance to corrosion make these products highly demanded. The offered product is made with the help of latest machinery in accordance with set industrial standards.